Augmented reality is the integration of digital information with the user's environment in real time. 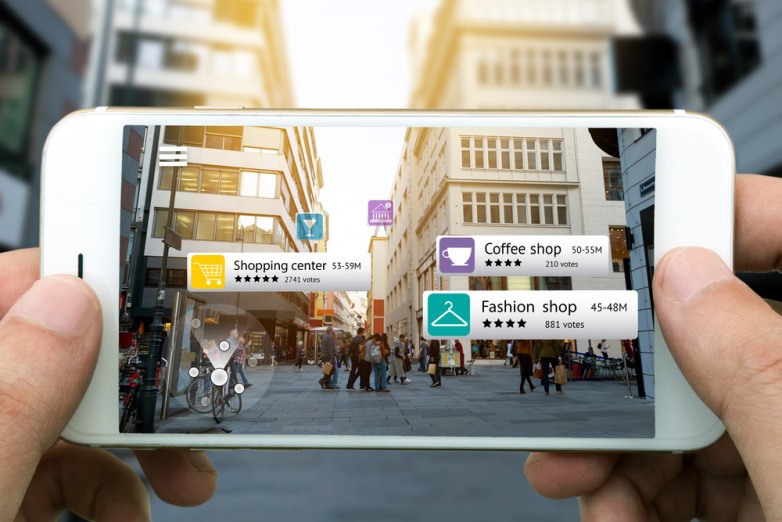 Unlike virtual reality, which creates a totally artificial environment, augmented reality uses the existing environment and overlays new information on top of it. CREO offers a built-in and ready to use control to easely add Augmented reality capabilities to your app. LocationDidChange(location: Location) This event is called when the current location changes. var radius: Float Defines the distance (in meters) within which to ask to the datasource for markers (default 1000). var radarPosition: Point Radar position inside the control. var showRadar: Bool A Boolean indicating whether the augmented reality control displays radar information. var keyPath: String The base keyPath to get a particular node of the DataSet value. The DataSet must provide a List of objects and each object represents a different marker. If the DataSet value is not flat, for example a Map from a JSON result of an HTTPRequest, the keyPath defines the list of keys used to browse the data tree to get a List node. The values for each exposed property of the cell are retrieved by adding the current index and the cell property key to the base keyPath. func start() Start processing DataSet data.